Home / News/Metal/From the nightmare depths Cursed Earth return, faceless and fuelled by hate! From the nightmare depths Cursed Earth return, faceless and fuelled by hate. Are you ready? 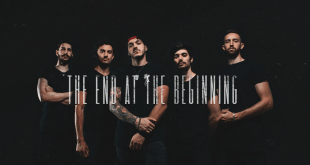 Their forthcoming mixtape “The Deathbed Sessions” (out May 31st), features guest appearances from Larissa Stupar (Venom Prison), Matt Honeycutt (Kublai Khan). Joel Birch (The Amity Affliction), Booka Nile & Sean Harmanis (Make Them Suffer). Nick Adams (Justice For The Damned), Mark Poida (Aversions Crown) and Jack McDonald (Cast Down)! In the meantime, the band has revealed the opening track and video “Fear”, that you can indeed discover below! 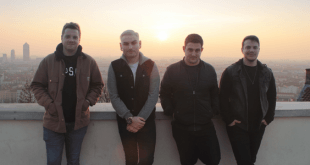 Previous Pop-punks For I Am have released a video for “The Armistice”! 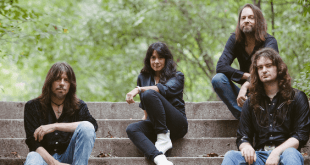 Next Efreeti reveal their album “Man of Sand” track by track!